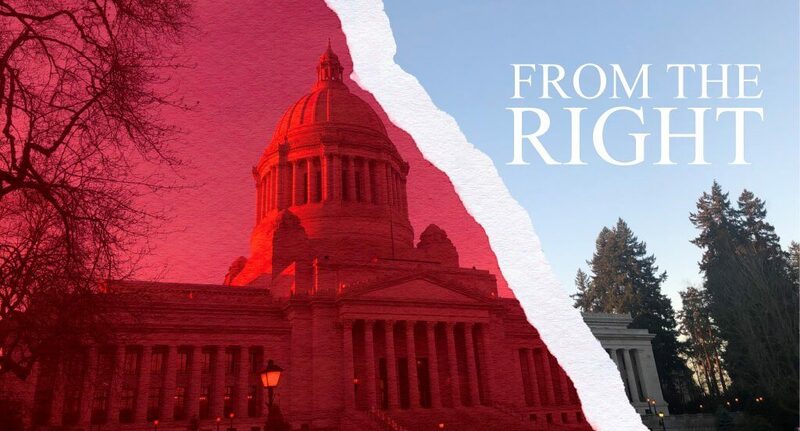 With the house-of-origin cutoff in the rearview mirror, the Washington Legislature now moves back into committee action. So, this week we look at some of the consequential bills still in play and introduce two voices you’ll see chiming in on the issues at the Wire. Have ideas for what we should cover? Hit reply or send me a tip directly. And, don’t forget to sign up for the Daily Wire, where you can get a rundown of all of our reporting first thing in the morning. It’s shaping up to be a consequential session for health care. On the final day for the Legislature to pass non-budget-related bills out of their house of origin, the Senate passed 16 health care-related bills. The bills take action on a broad range of health care issues, from universal health care to telemedicine and behavioral health. 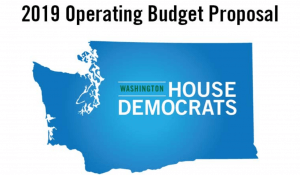 Also last week, I got Washington health plans’ perspective on the public option bills—which passed off the House and Senate floors—from Meg Jones, Executive Director of the Association of Washington Healthcare Plans. We talk about how the bills have changed and their implications in this Q&A. Chad Minnick is the President of Minnick Group, a non-partisan campaign consulting firm with right-of-center clients. Through the long, hard slog of campaigns year after year, Minnick has risen to become one of the most prominent Republican campaign strategists in the state. Minnick will give his take on Washington politics and policy in an occasional column for the Wire called “From the Right.” In his first column, “Democrats winning battles, losing war,” Minnick dives in head-first, writing about President Trump’s brand and unpopularity, Washington Democrats’ under-performance in the 2018 midterms, and what the future might hold for the two parties. It’s a strong start to the column that is worthy of your time, regardless of your politics. 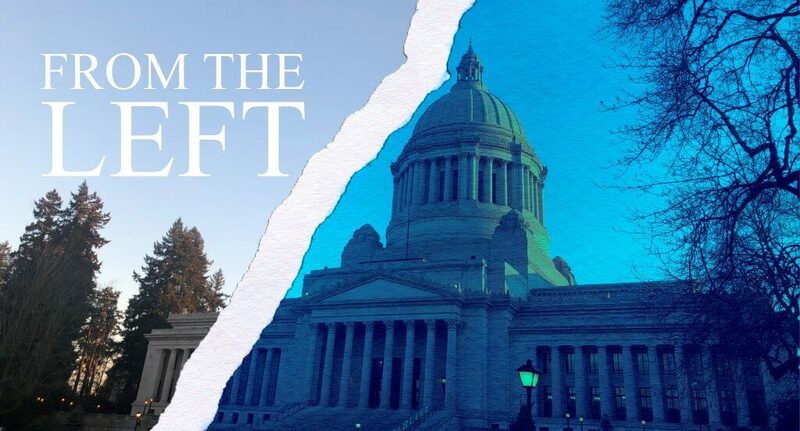 From the other side of the aisle, John Wyble will be providing his take on Washington politics and policy in an occasional column for the Wire called “From the Left.” Wyble is the Creative Director at Indelible Media, a Democratic campaign consulting firm. He has been working on campaigns—and winning most of them—since the late 1990s, when he helped put Washington Conservation Voters on the map as an electoral force. In his most recent column, Wyble covered the governor’s presidential run. In short, Wyble writes it’s possible that, although he believes other candidates are the frontrunners, Gov. 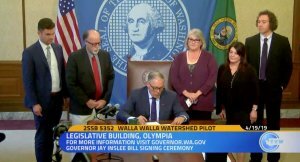 Inslee could be “in the hunt to be the next President of the United States” if he takes three key steps. The most important read in Puget Sound this week—and perhaps all year—is Dominic Gates’s Sunday piece on Boeing’s certification of the 737 MAX. It’s a powerful read that is required reading for anyone thinking about the intersection of the regulator and the regulated. It was followed by the WSJ reporting that the DOJ has issued grand jury subpoenas as part of a criminal investigation into the matter. 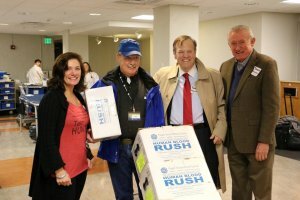 KUOW’s Bill Radke had a strong 19 minutes of interviews with both reporters. After lengthy debate and a party-line vote, a House bill to create a clean-fuel standard moved to the Senate last week. The bill requires the Department of Ecology to establish a Clean Fuels Program that limits greenhouse gas emissions per unit of transportation fuel energy. 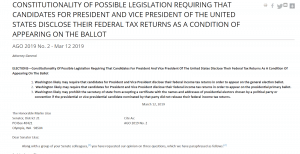 Last week, a bill passed off the Senate floor that would require presidential and vice-presidential candidates to disclose their last five years’ federal tax returns in order to appear on Washington’s primary- or general-election ballots. Opponents often argue that the requirement is, or could be, unconstitutional.